How far would you go to protect the man in your dreams? After a family tragedy,15-year-old Dusty Vermeer has to start her sophomore year in a new town and a new school. Rural Iowa introduces her to Mark, a charming football player. Dusty can hardly believe her heart. Then, to her surprise Dusty meets another guy. The chemistry between Dusty and Jack could spark a prairie fire on a rainy day. The only problem? Jack's dead. The handsome soldier comes to Dusty in her dreams and introduces her to the horrors of a foreign battlefield and the enchantments of first love. While Dusty tries to balance her feelings for the two new guys in her life, Jack steps out of Dusty's dreams and into her reality. And he wants something. Jack has no memory of how he died more than half a century ago. Dusty vows to uncover the mystery, but her quest for justice puts her in the path of evil, a force that won't stop until she's silenced. 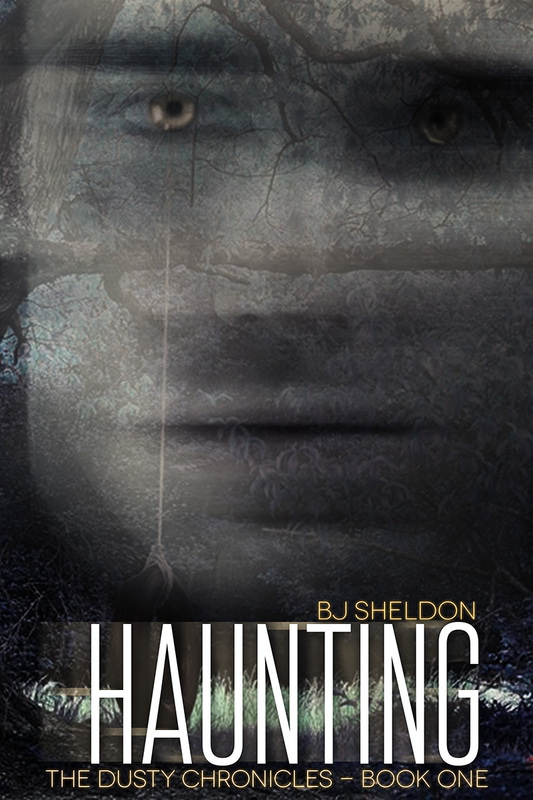 Buy or download Haunting here! B.J. Sheldon's love of writing has developed into a passion for creating exciting characters and storylines that she hopes will enthrall and inspire young readers to pick up a book and use their imaginations. Her novel, "Haunting: The Dusty Chronicles - Book One", is based in her hometown of Hull, Iowa and focuses on a teenage girl adjusting to a new town as well as the ghost that has begun haunting her home...and her dreams. In 2009, B.J. lost her job and remained unemployed for nine months. During that time, she rediscovered her love for writing from years prior and wrote her first, full-length novel for her daughter's fifteenth birthday called, “Schuyler and the Saga of the Sages”. Unable to find an agent, B.J. started looking for an idea for her next novel. 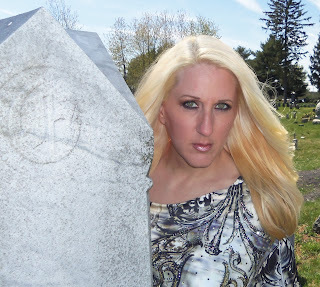 One night, after a conversation with her husband about the paranormal, an idea was born and the rest was history. Over the course of the next eighteen months, B.J. developed the plot and wrote “Haunting”, a story about a teenage girl who discovers that the ghost who is haunting both her farm and her dreams has a mysterious past. In 2011, B.J. was awarded a silver medal in the Reader’s Favorite Award Contest in the Young Adult/Fantasy category and was the only book in that genre to win an award without being a previously published work. 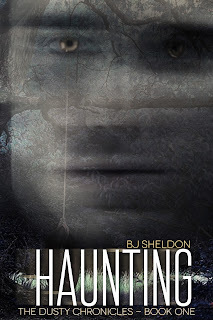 "Haunting" was published on April 29, 2013 by Wandering in the Words Press. Her dream is to one day attend a book signing in her home town in Iowa where she first developed her love of words. She currently lives in New Jersey with her husband, Steven, who is now a veteran of both the Iraq and Afghanistan wars, along with her three daughters, dog and three cats. Some of her favorite authors include Richard Russo, Nicholas Sparks, Isaac Marion, Suzanne Collins, JK Rowling and Guy De’Maupassant. The sequel to "Haunting: The Dusty Chronicles - Book One" is tentatively set to be released in March 2014. Check out the giveaway that BJ is having in honor of the new cover being revealed!